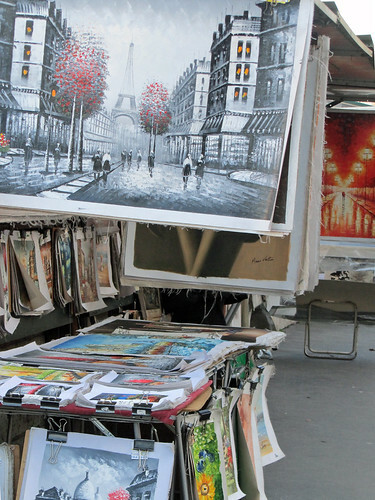 Any visitors could hardly miss the rows of little metal stalls running along the River Seine in the centre of Paris. Les bouquinistes, that’s what we call them. Originally they were stalls meant to sell books (bouquins = books, les bouquinistes = booksellers) but over the years they have somewhat evolved that a large number of them now sell kitschy souvenirs, postcards, random objects and paintings.